Most will be aware of my long involvement with the fight against fracking and my involvement with Frack Free Wales. I am pleased to report on my growing involvement with a new and growing campaign that focuses on the other side of the energy coin. If fracking is the downside or tails, an energy self-sufficient Wales using 100% renewable sources is the upside or heads. Egnio Cymru is a campaign focussed on achieving this within 20 years. The Egnio vision is laid out here and the roadmap to achieving is being laid out here. The website is still being written and prepared, but I am not the only one involved who is currently focussing on the more immediate priority of engaging with the politicians in the run up to the 2016 Welsh Government Elections, and will do so over the next few weeks. Elections Hustings section – for those able to get to any of the elections hustings events going on all over the place in the next few weeks. 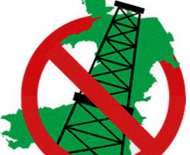 The packs contain advice on what you can do to help us ensure that our twin goals of a Frack Free Wales and safe, secure, dependable energy future are achieved, or underway to being achieved by the next Welsh Government. Personally, I will be focussing on hustings and other opportunities to directly petition as many candidates as possible. I will post regular reports on the main hustings I get to, and we will collate candidate responses in time to help everyone make a properly informed choice by election day. Watch this space! In fact I’ve been to my first big set-piece hosting at Cardiff University this evening – focussing on the Future Generations Act. It was high quality event and there is a fair bit to report on – I’ll try and do just that tomorrow. This entry was posted in Uncategorized on April 12, 2016 by Bridgend's Green Leftie.